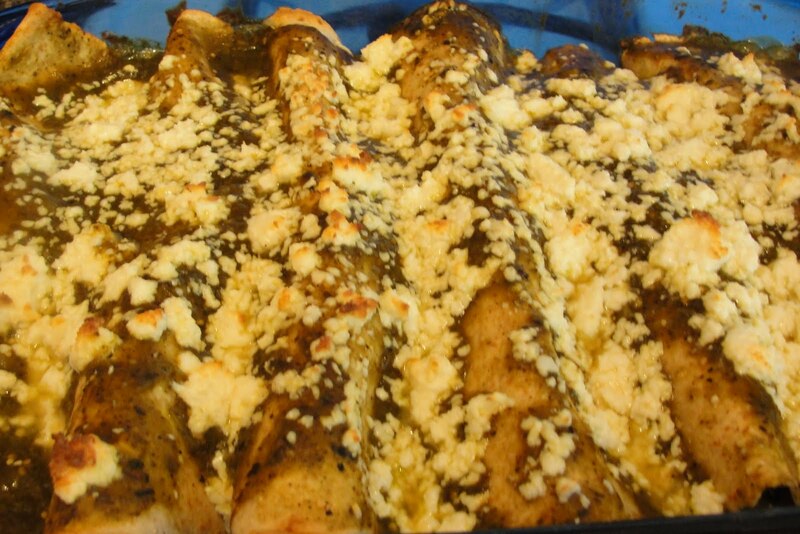 Daring Cooks May Challenge – Enchiladas | eat. play. sleep. 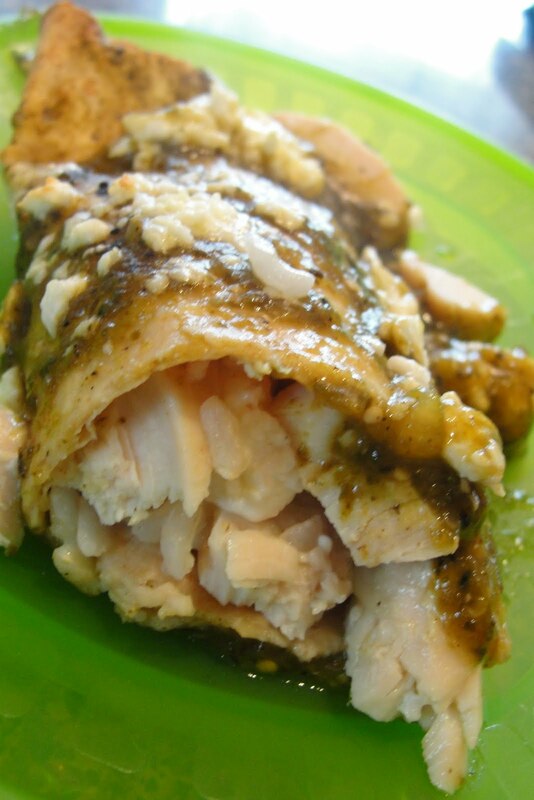 Our hosts this month, Barbara of Barbara Bakes and Bunnee of Anna+Food have chosen a delicious Stacked Green Chile & Grilled Chicken Enchilada recipe in celebration of Cinco de Mayo! The recipe, featuring a homemade enchilada sauce was found on http://www.finecooking.com and written by Robb Walsh. 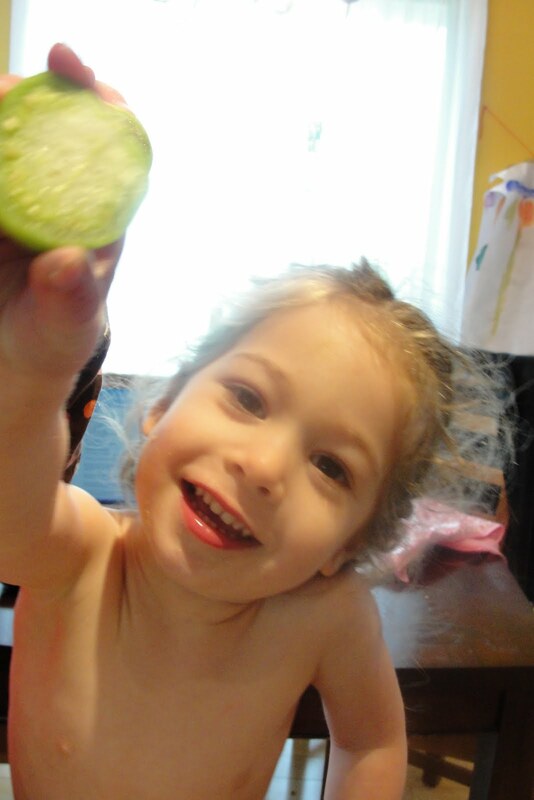 This was a fun challenge, because our family adores Mexican food. Sadly, this particular recipe wasn’t really a hit. There was something a little off with the sauce and I think it was missing something acidic. If I make it again, I’ll add some lime juice and maybe a bit more salt. That being said, it really was an easy process to make the sauce, and we have enchiladas all the time (although we prefer them rolled), so it was fun to do. The girls enjoyed helping as well! 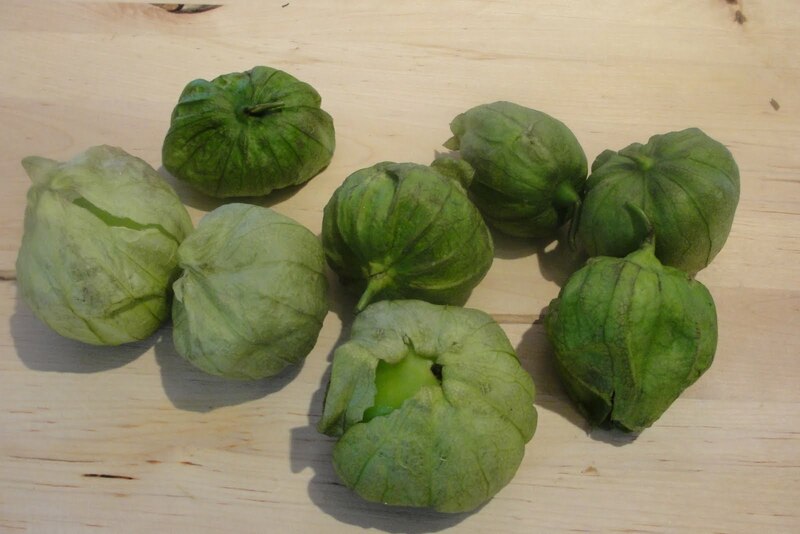 First, we started off with some tomatillos. These are little green tomato-looking things, wrapped in paper-like skins. 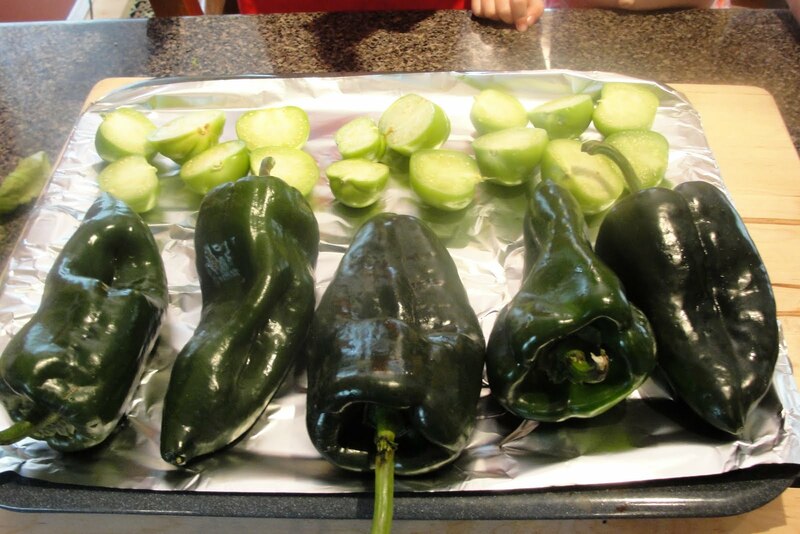 Peel off the skins, cut them in half, and roast them in the oven or on a grill. 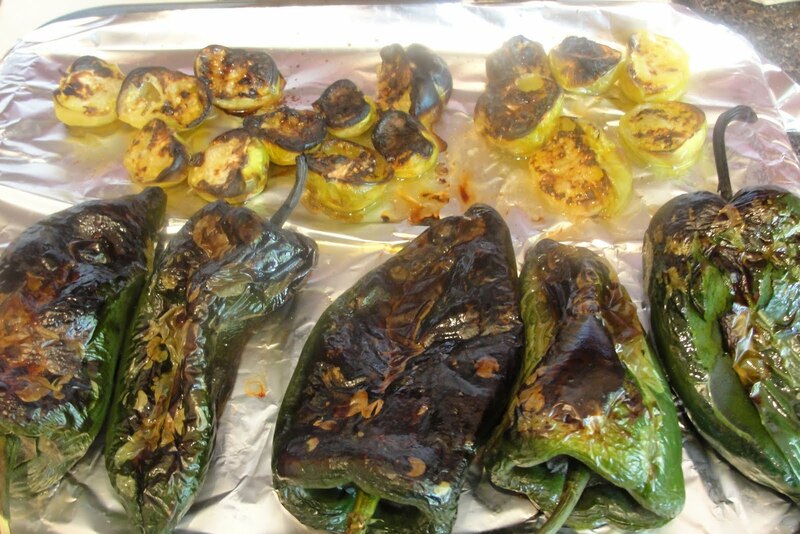 We also roasted some Anaheim chilies (and of course, Joel thought this was silly…not spicy enough!). 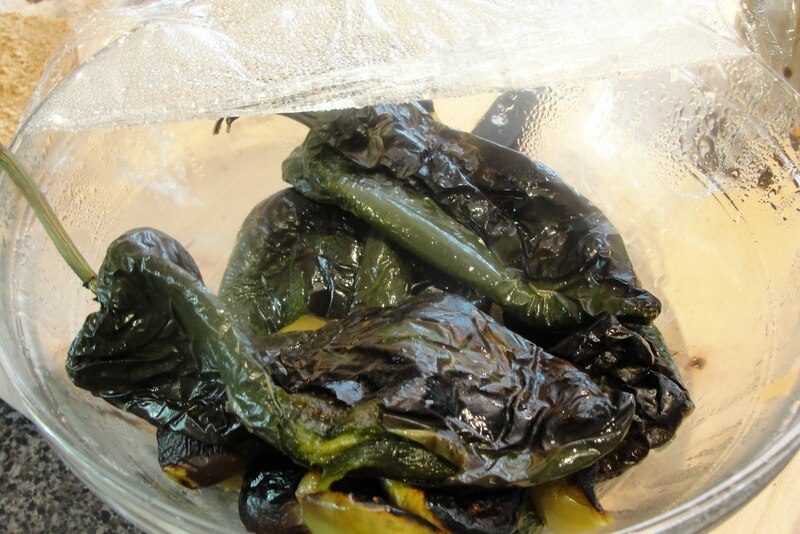 After roasting for about 20 minutes, we put the chilies in a bowl covered with plastic wrap so that they could cool. They’re much easier to peel this way. Then we added them, along with the tomatillos, to a pot with stock, garlic, some spices, and salt and pepper. We let it simmer for about 40 minutes. Then we broke out the cojita. 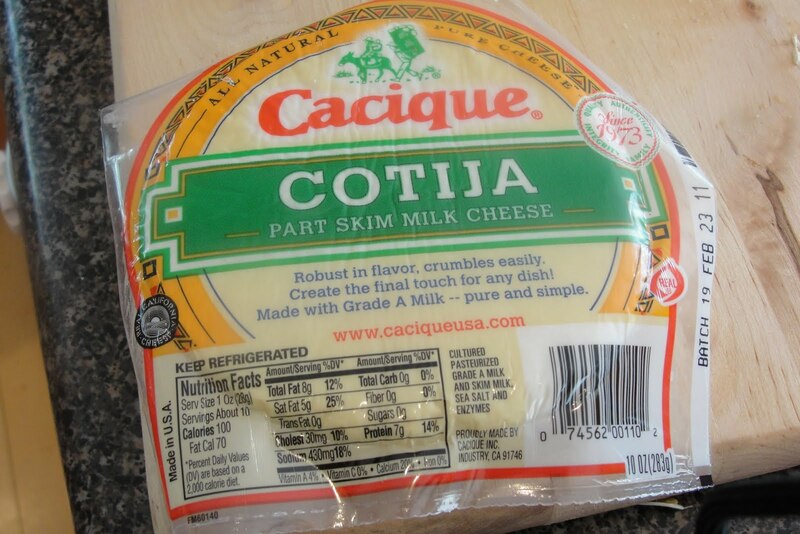 This is a Mecixan cheese, and it sort of reminds me of feta – it’s tangy and crumbly. 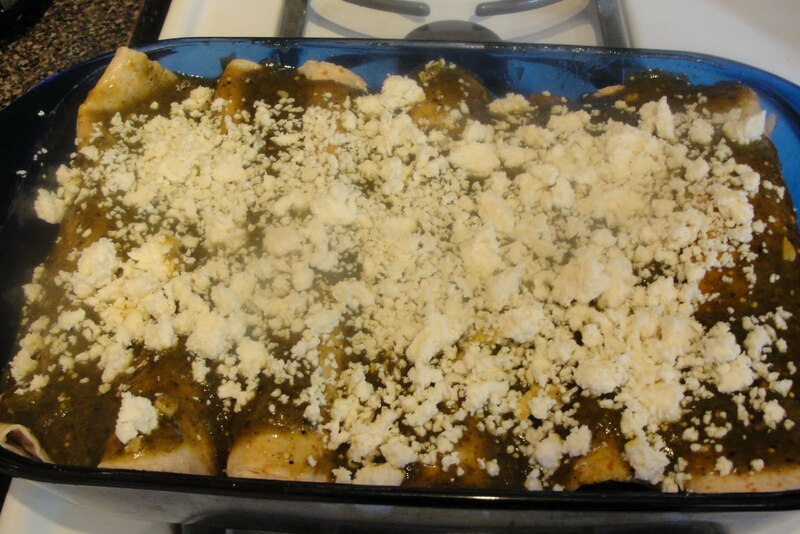 We put some inside the enchiladas and also on top. 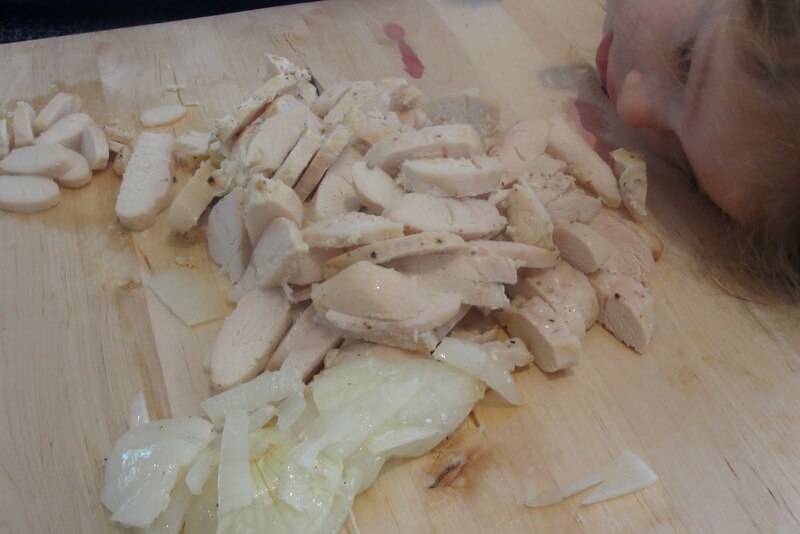 While the chilies were roasting, I also roasted some chicken and onions. Emily was REALLY hungry…she was trying to eat some chicken in a not so stealthy way when I took this picture! Again, I think that this was a great process, we just weren’t that jazzed with the flavor. I’ll definitely make this type of sauce again – it’s time consuming but with the easy access to Latin ingredients around here, it’s kind of a shame to buy a jar of already made sauce. 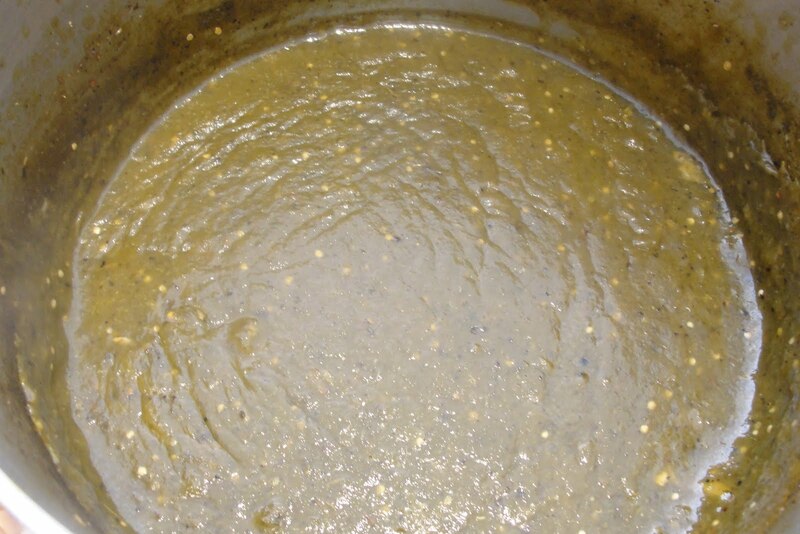 So thanks to our host – you’ve inspired me to go on a quest for the perfect enchilada sauce recipe! 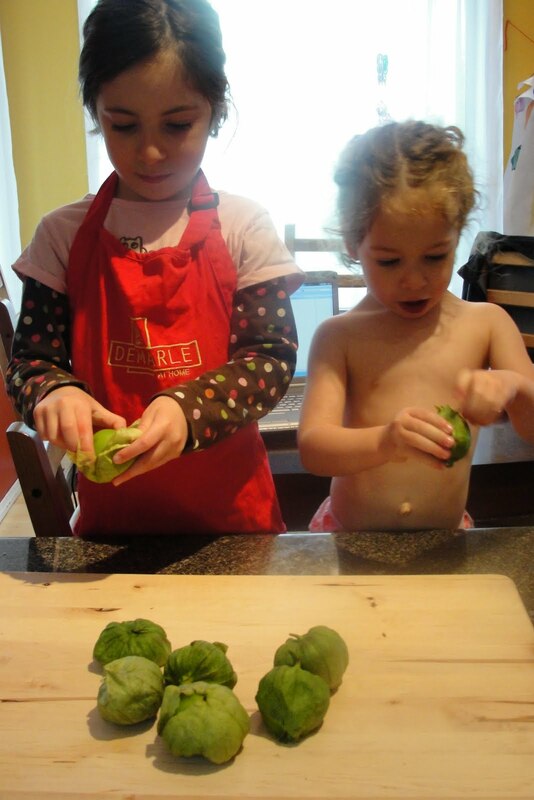 You have 2 cute little helpers in the kitchen. Good job on the challenge!